I still have my very first oil painting of Snoopy dancing. Looking at that painting brings me such joy, not because of how good it looks, but because of how happy it makes me feel! Connection with my creative spirit has always been essential for me — it’s what keeps me alive and thriving. Since a very young child, I have taken art classes, have a fine arts degree and have joyously explored the range of my creative muse. However, she speaks to me. Since a child I wanted to grow up to be an Artist — to live and breathe the creative muse. For most of my life I was looking outside of myself for validation; I didn't need to grow up to be and artist I have always been. We all have an inner artisit— It is our birthright. Being and artist is about bringing your creative self into every aspect of your life. The more I explored the Intuitive painting process, the more I realized I was trying to come back to mySELF. I am happy to say I have come back home, to my creative, intuitive magical integrated Self— Living fully as ME. You can too! As a lover of the natural worlds, magical worlds, and inner realms, I have combined my three passions: Shamanism, creative arts (BFA) and healing arts (M.Ac.). I have taught at colleges and community centers over the years, and have practiced Oriental medicine and Shamanism for almost twenty years. I have woven what I know and love into a unique and powerful approach to awakening the creative self. Everything I do comes from the heart. 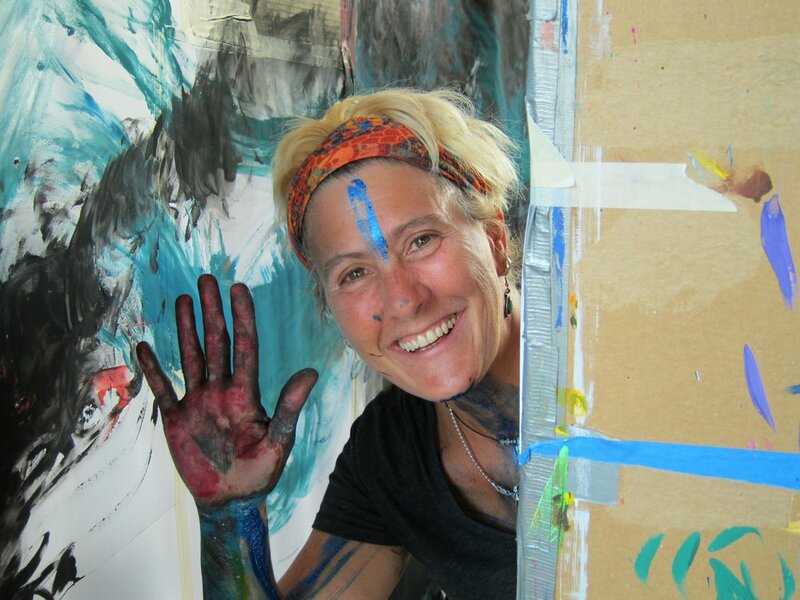 Drawing upon my experience as a Certified Expressive Arts Facilitator and over thirty years as an artist, healer, and educator, I strive to embody the healing power of creativity. I offer live and on-line workshops and retreats throughout the United States. Join me in reawakening your creative self— to live fully YOU! Know your Heart. Love your Life!